Please contact us if you would like to come meet Toby, or would like any more information. This flashy, cookie-cutter hunter is looking for his partner! Toby recently came off a lease this fall when his teenage rider found a horse of her own. 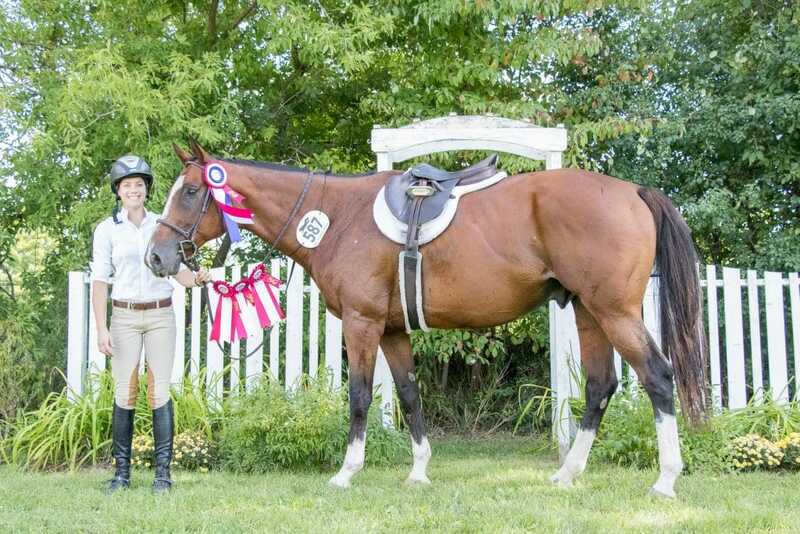 Over the 2018 season, Toby competed competitively in the hunter circuit, winning many hack classes, including over all champion, and progressing well in his hunter-over-fences classes. Toby is a hack prize, and can easily compete in the Trillium and A-circuit levels. He has a large, even jump, with perfectly square knees. Toby loves to jump and please, and tries very hard for his rider. He could easily compete in the 2’9”-3” division with a serious rider and consistent work. Toby is safe for an amateur or a young teen moving off a pony. He is not an automatic horse, and you will still have to “ride” him, but he will perform for you, yet teach you at the same time. Plus, he has a friendly, kind and adorable personality, and a trick or two to show off as well! For more details on Toby, you can visit his bio on, Our Horses Page.